Woo-hooo! I have an aubergine flower! Just when I was giving up on them too. 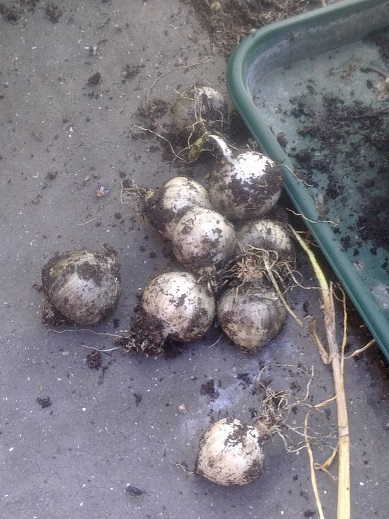 So back into the cave they went last night, and the cape gooseberries are now outside in my Pot Paradise with my overspill chillies, rhubarb, blackcurrants and lovely, lovely horseradish. 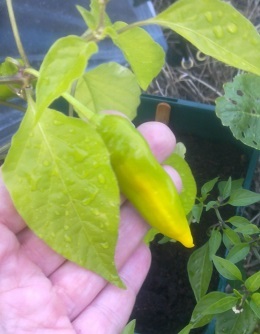 A few of the lemon drop chillies are developing bright yellow streaks….oooh the anticipayshun!